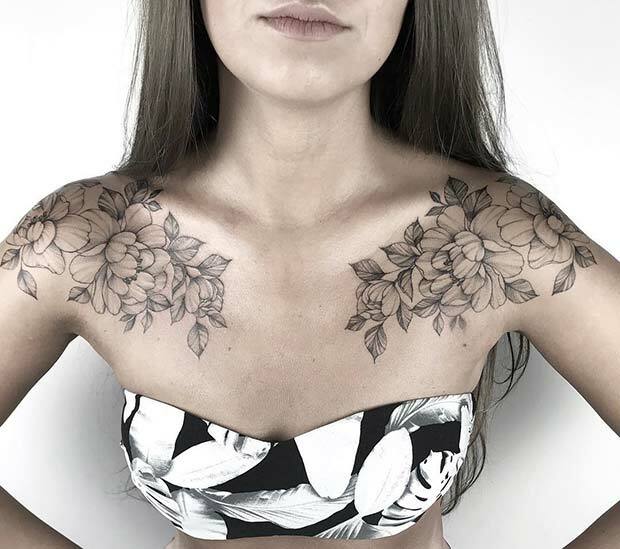 Flowers are popular tattoo designs for women. There are so many different kinds of flowers to choose from with an endless choice of colors. Not only that, but flowers can have special meanings and floral designs look stylish and feminine. Flower tattoos also never go out of fashion either which makes them great for body art. 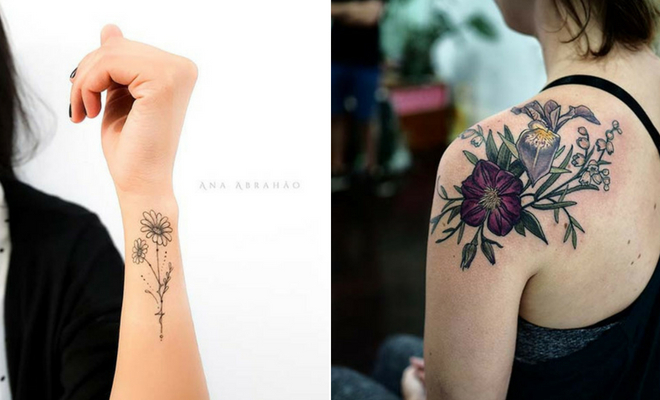 We love flower tattoos and have found 43 beautiful and unique designs. Take a look to get inspired! 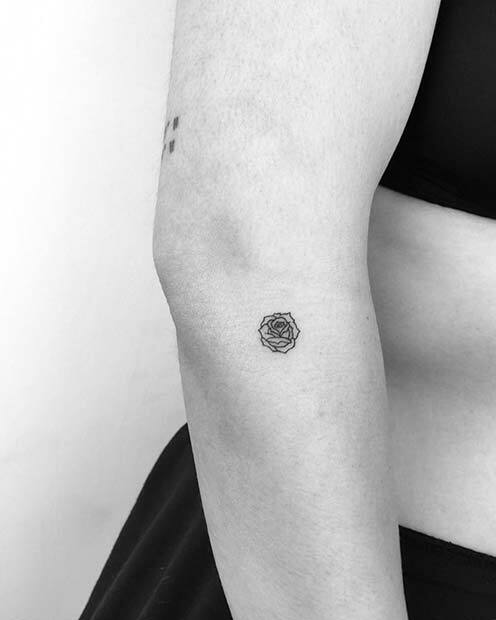 The first flower tattoo we would like to show you is this black ink poppy tattoo. The design uses line work, dots and shading to create a stylish finished look. We love the style of this tattoo and it would look amazing on anyone. You could have a similar poppy created or use the techniques in the design for a different flower. Next, we have a beautiful floral wrist tattoo. The design features pretty blue flowers that wrap all the way around the wrist. This is a very creative idea and it almost looks like a piece of jewelry. You can recreate something like this with roses or other flowers. Looking for statement making flower tattoos? Then this next idea could be for you. Here we have two floral designs that have been tattooed onto each shoulder. We love how unique and artistic this tattoo is. 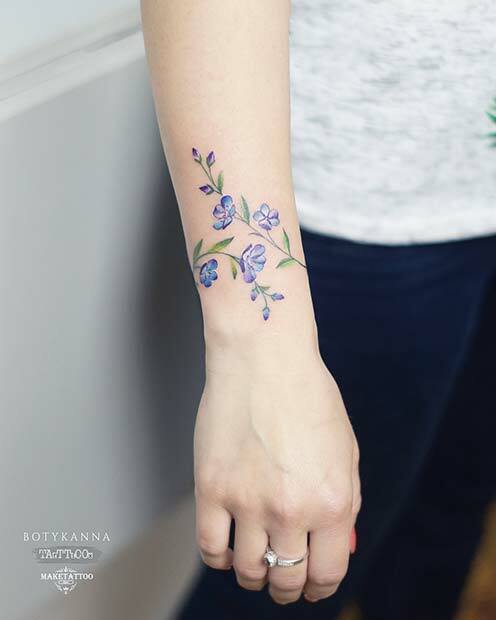 You could have a shoulder tattoo like this with different flowers and you can consider adding colors too. Forearm tattoos are very popular and we can see why! 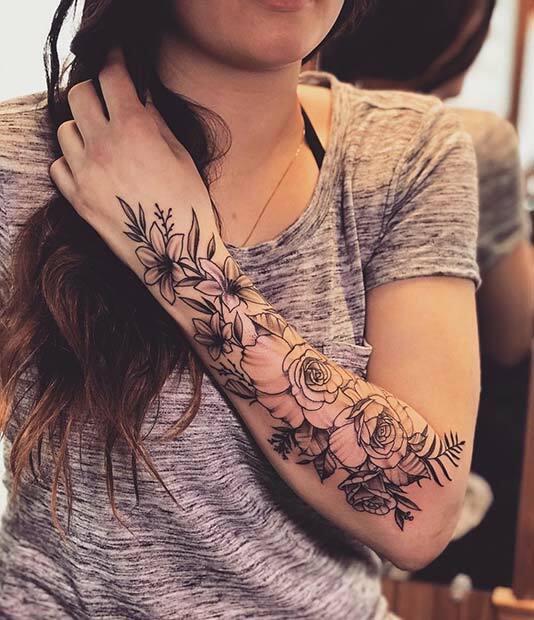 This forearm tattoo looks like half a sleeve and features different types of flowers. A tattoo like this gives pretty floral designs a trendy and edgy vibe. You can create a forearm tattoo with any flowers. Orchid tattoos are symbols of beauty, harmony, friendship and fertility. So, it is no surprise that these beautiful flowers often inspire tattoo designs. 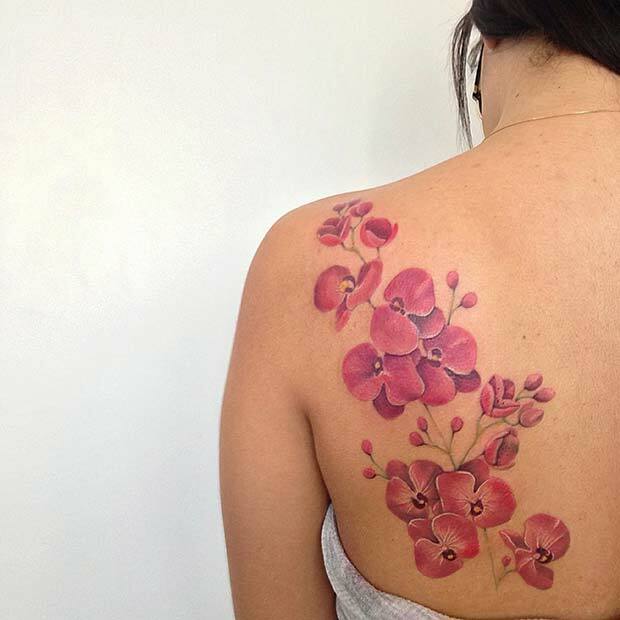 Here is a stunning example of an orchid back tattoo, it has gorgeous pink petals. You can have a tattoo like this placed almost anywhere. There are different colors to choose from too. Blue is a symbol of eternity and red is for passion. Next, we have a floral sternum tattoo. 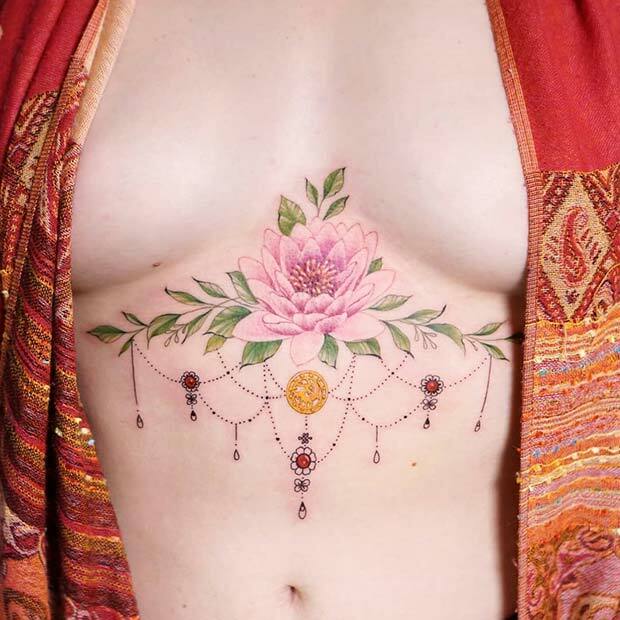 The ink features a pink lotus with a jewelry design hanging from it. This is perfect for anyone who wants a pretty but stylish tattoo. You can choose any flower for your own design. Sternum tattoos are a great choice for someone who wants a tattoo but cannot have it on show all the time. Our next idea is a floral thigh tattoo. 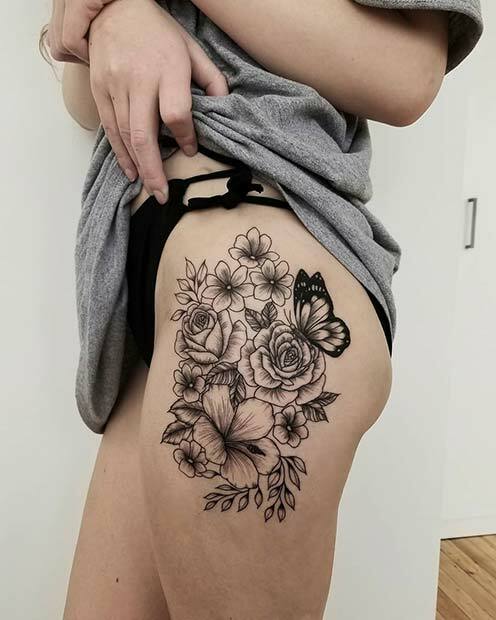 This design has different types of flowers and a butterfly. It is a feminine and trendy tattoo idea. For your own thigh tattoo, you can choose any selection of flowers, maybe even add some color. You could even add some more butterflies. The watercolor technique creates stunning tattoos. We especially love floral designs that use watercolor. 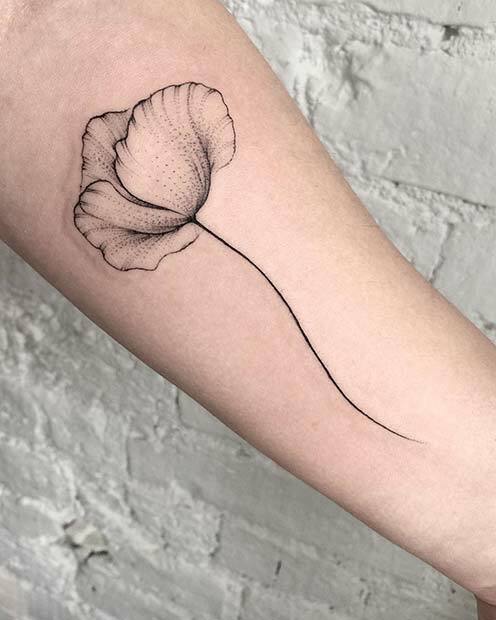 This ankle tattoo features a poppy that uses the technique. As you can see, the finished result is pretty, delicate and it looks like a work of art. Any flower can be tattooed this way and you can have your design placed anywhere on the body. Looking for a unique design idea? Then this next pick is for you. Here we have a creative floral ear tattoo. 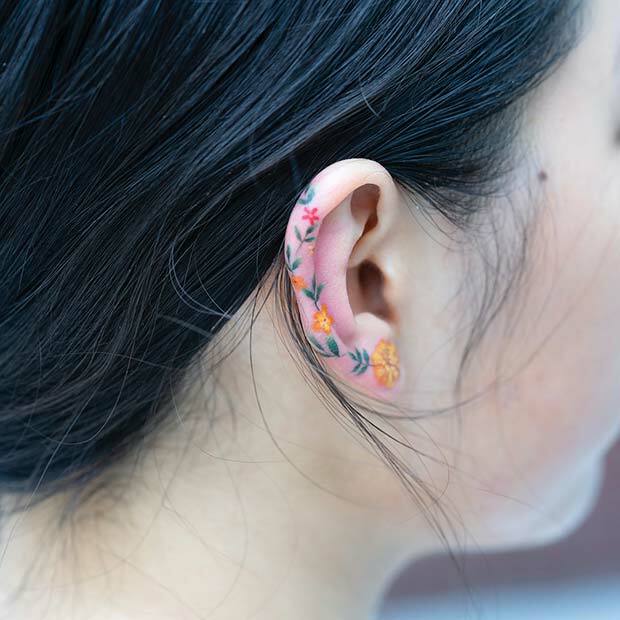 The flowers have been tattooed on the edge of the ear in vibrant colors. We love this idea as it is artistic and eye catching. Any flowers in any colors would look awesome tattooed on the ear. Next, we have a tiny tattoo idea. The ink features a very small rose that has been tattooed on the arm. This is a cute and subtle design idea. Something like this would be great as a first tattoo as it isn’t too big. You can choose any flower for a similar tattoo. Also consider adding color if you want to make more of a statement.